a) Describe the process workflow for technical coordination BIM model. b) Describe the use of the BIM model to check the design intent. c) Open and append BIM model files from various sources and save the model by using model management software. d) Perform a visual check of the model projects and use the reports. 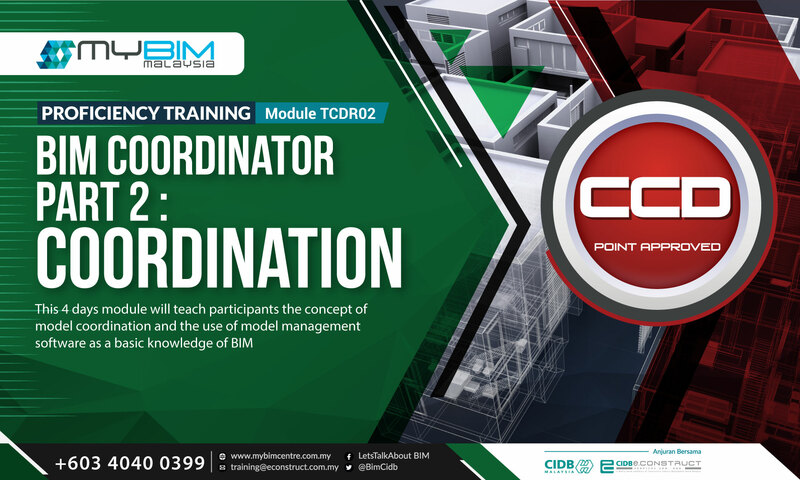 e) Review and audit the accuracy and adequacy of the information contained in the BIM model. f) To check the clashes of the model produced by various parties. g) To prepare reports for the clashed model and audit report.